Since we started to cultivate the Clos Windsbuhl in the late 1980’s, we realized that this late ripening vineyard had the potential to sometimes produce some rich late harvest wines. The poor calcareous soil and cool climate of the Clos Windsbuhl help the grapes to keep high acidity and therefore the wines from this vineyard have an excellent structure. It is impossible for us to decide wether this vineyard is at his best for dry wines or sweet wines, as both styles retain the vineyard characteristics, show excellent minerality and are harmonious. 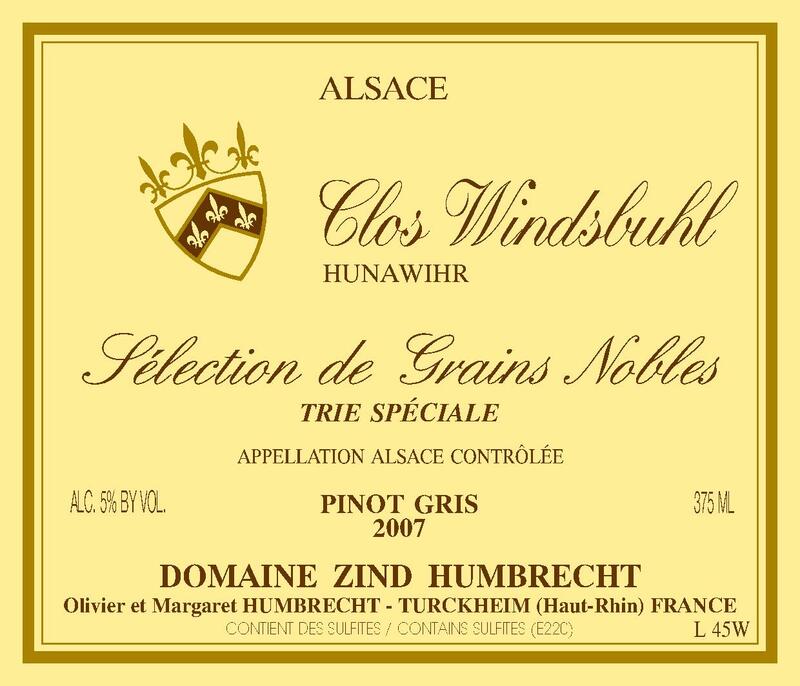 Certainly the vintage conditions would influence the style, and if 2007 produced very healthy Riesling, the Pinot Gris allowed some beautiful botrytis to set on the oldest vines. We only did one selection and the result was quite amazing, almost unexpected, at 217° Oechslés or 32% potential alcohol. The fermentation was similar to the Clos Jebsal Trie Spéciale and both wines were racked the same day, early January 2009. As we are only about to bottle the 2005 vintage today of the same wine, I expect this one to need many more months/years of ageing in cask before bottling time.